An authentic Fendi purse is made with the finest materials: including suede, wool, fabric leather, canvas and patent leather. 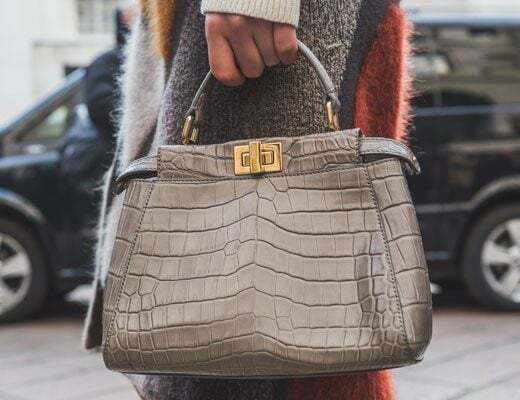 While common stains are the result of dirt, grease or makeup spills, you can treat dust and grime on your Fendi handbag using inexpensive household items. 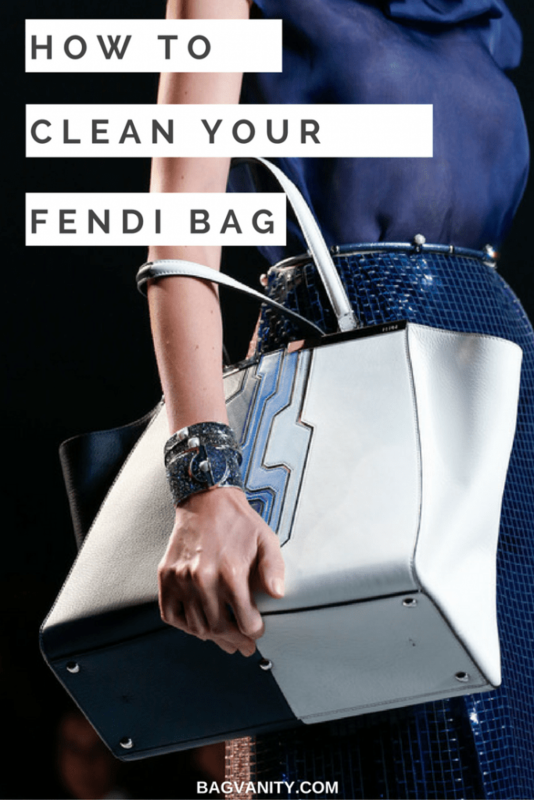 Armed with these tips for combating stains, you can just remove stains or visible signs of wear found in your precious and authentic designer Fendi handbag. 1. Rid scuff marks found on Fendi leather handbags with a paste of baking soda and water. 2. Clean suede Fendi handbags with a suede eraser or suede brush. 3. Brush your dirty canvas Fendi handbags. 4. Remove makeup stains or grease stains from your Fendi bag with talc. Apply lukewarm water and baking soda to your purse with an old T-shirt. Gently wipe the black marks with the baking soda paste. Let the Fendi bag dry air for 10-15 minutes. Remove the paste with a damp t-shirt dipped in lukewarm water. Use similarly colored leather polish to cover the black scuffs. Let your purse air-dry overnight in a cool place away from the heat. Remove light dust caught in the nap of the cloth, with the suede eraser using a circular motion. A stiff suede brush can repair worn suede too. If spilled water or something wet drops on your bag, these spots are difficult to repair. Take the Fendi bag to a purse repair shop that specializes in the treatment of suede bags. Use a small bristle brush to remove dirt or dust. Then, use the smallest vacuum cleaner attachment to skim the top of the bag and remove any dirt or grime. First, blot a fresh oil stain with a clean rag or cloth. Next, completely cover the stained leather with baby powder or cornstarch. Let the powder stay on the stain overnight. In the morning, dust the powder away from the stain with a small brush. If the fabric is washable (like cotton or linen fabrics), consider spot treating the stain at home. For silk, sequins and Fendi bags made of wool, take the items to a dry cleaner or a professional handbag repair shop immediately. Do not use wax polish on your Fendi purse. The waxy nature of the polish is too heavy for leather bags. Always, air dry your Fendi leather handbag away from heat. Always test the leather or fabric cleaning solution in a hidden part of the purse or in the inside leather flap of your Fendi handbag. Never apply heat from a dryer to your Fendi bag after cleaning. Any stain residue may be unseen by the naked eye. The stain may become permanent once heat is applied. Is Your Bag Making You Sick? 5 Handbag Cleaning Tips to Clean it Now! I love handbags. I absolutely can never get enough. So many styles and designs its amazing.